To employ a resource to negotiate with the council on community asset transfer and to implement the group’s business plan, set up a legal structure for the organisation, set up routines/procedures and investigate systems. Four organisations with a shared vision for community asset transfer and community-run services came together to invest in their local areas. 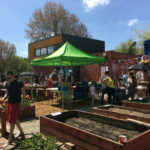 The overriding impulse for the Leeds Community Spaces initiative is to see more efficient and community-focused services delivered from community buildings. With each community business already well established in their local areas delivering much needed local services, the consortium has a greater social impact working together and sharing learnings. 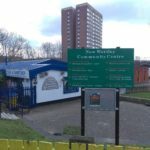 When the opportunity arose for council-run community centres in Leeds to be put into community hands, a consortium of community business came together to give it a go. Four community businesses decided to work together in a fair, transparent, equitable and supportive manner. 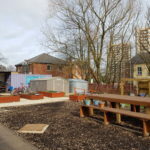 – GIPSIL: a community business working with children, young people and families in the most disadvantaged areas in Leeds to help them realise their potential. – OBLONG: a development trust which helps people and communities to flourish as well as running the Woodhouse Community Centre. – LS14 Trust: a trust which runs a drop-in centre with a café, digital lounge, training room, hot desks, art room and roof garden. 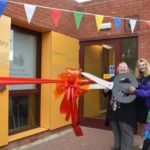 – New Wortley Community Association: a community business which runs a community centre/café and delivers a range of services including health and social care, a job club, a youth group and fitness group. The founding members of the consortium aim to create a community-led environment for the buildings, truly putting the community at the heart of running the buildings and maximizing their potential. This is part of a wider plan to help build up community capacity and resilience. – Providing the opportunity to share expertise and knowledge in managing community assets. – Establishing formal processes which allow them to take on assets and large contracts, where the opportunities arise. – Generating income which can be re-invested in the local communities. Leeds Community Spaces received business support and advice through the Bright Ideas Fund. They also received a £28, 732 grant from Power to Change to employ someone full-time to negotiate the multiple community asset transfers with Leeds City Council and to implement the group’s business plan, set up a legal structure for the organisation as well as liaising with communities and organisations that can provide services for the communities the buildings are in. The funding also leveraged financial contributions from the Department for Communities and Local Government’s Community Ownerships and Management of Assets (COMA) programme with further support from Locality. Council funding will be available once the transfers are complete to support the running of the buildings.